TEHRAN, Jul. 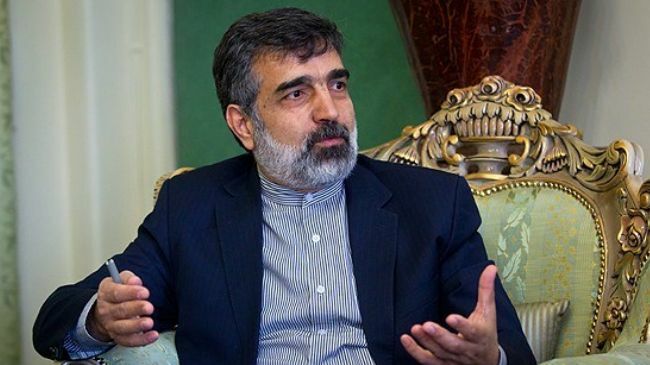 31 (MNA) – Following the IAEA’s denial of having leaked confidential information about Iran’s nuclear program, the AEOI spokesman Behrouz Kamalvandi said Tehran suspects three countries for the leak. Behrouz Kamalvandi, Spokesman for the Atomic Energy Organization of Iran, said Saturday that the UN atomic watchdog in a statement on Friday has ‘strongly disagreed with and rejected any statement implying that the Agency has leaked information related to Iran’s initial declaration of its Additional Protocol’. On July 24, Kamalvandi said Iran would submit a note of protest to the IAEA over the leakage of a classified document on the country’s nuclear program that was cited in a report by the Associated Press on July 18. “Regrettably though, the IAEA is sometimes under the influence of major powers due to certain political reasons,” Kamalvandi said, while pointing out that the Israeli regime has not yet disclosed the number of atomic bombs in its possession. He further maintained that the other side’s politicized moves in warning major companies against having trade transactions with Iran are in violation of the JCPOA.